Franklin's Washers Game Set is something people of all ages can enjoy. This game tests your accuracy by challenging players to toss steel washers into the center core of the target. This simple-sounding objective becomes increasingly difficult as you move further back and the outdoor elements come into play. 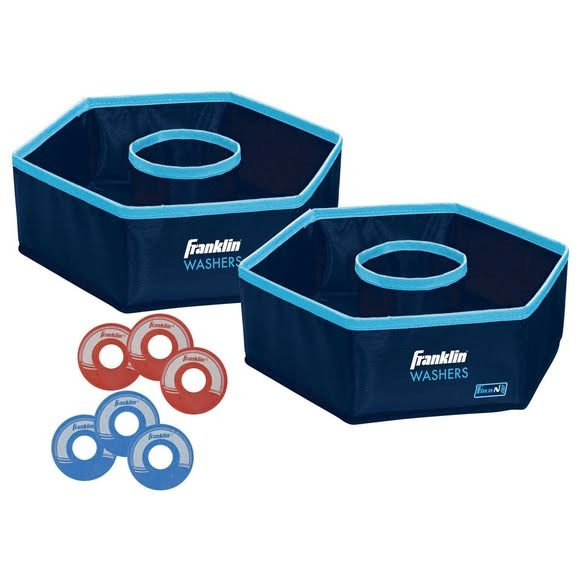 Franklin&apos;s Washers Game Set is something people of all ages can enjoy. This game tests your accuracy by challenging players to toss steel washers into the center core of the target. This simple-sounding objective becomes increasingly difficult as you move further back and the outdoor elements come into play. The targets are foldable making the set easy to travel with and store anywhere in your home.